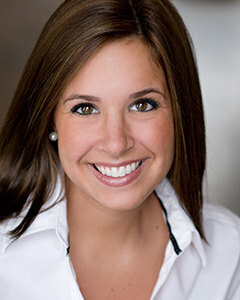 Kaylin Goldstein is your go to realtor specializing in residential sales. She is a strong negotiator and has a vast knowledge of the Chicagoland market. Kaylin has been recognized as a Top Producer by The Chicago Association of Realtors and @properties year after year as well as @properties Top 100 Agents in the company. She has a track record of bringing her sellers multiple offers and winning out against many bids in a multiple offer scenario with her buyers. Her customer service is exceptional and she always goes above and beyond for her clients. Kaylin was born and raised in Peoria, IL. She grew up around her family's business specializing in design/build concept and shares her grandfather's passion for architecture. Upon graduation, from the University of Iowa with a B.S. in Marketing, she moved to Chicago to begin a career in real estate in 2008. She started with a small boutique brokerage and transitioned to @properties, Chicago's leading real estate brokerage. She has developed and grown her team to over $40 million in annual sales in 2015. Kaylin resides in the River North neighborhood. In her free time, she enjoys spending time with her two Goldendoodles, Lali & Louis. She also enjoys traveling with her husband Garrett and trying out some of Chicago's best new restaurants. "Kaylin’s professionalism and be there for you approach to her clients is exactly what we needed. Thank you Kaylin!"